It's usually my lunch or snack food during the day. 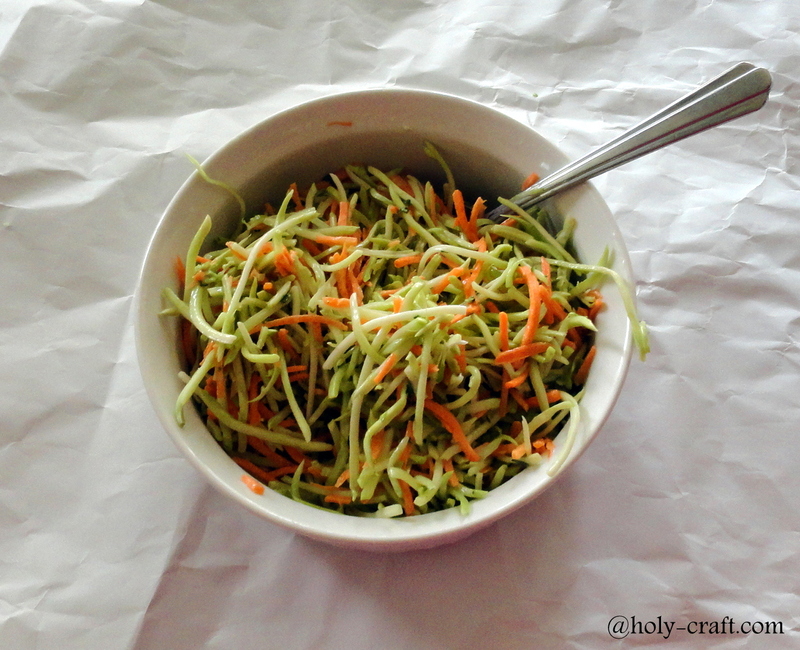 This broccoli slaw is probably my new favorite of the summer and it's so easy to whip up! I'm usually pretty lucky and I am able to find a good size container of broccoli slaw for .99 at my local grocery store. 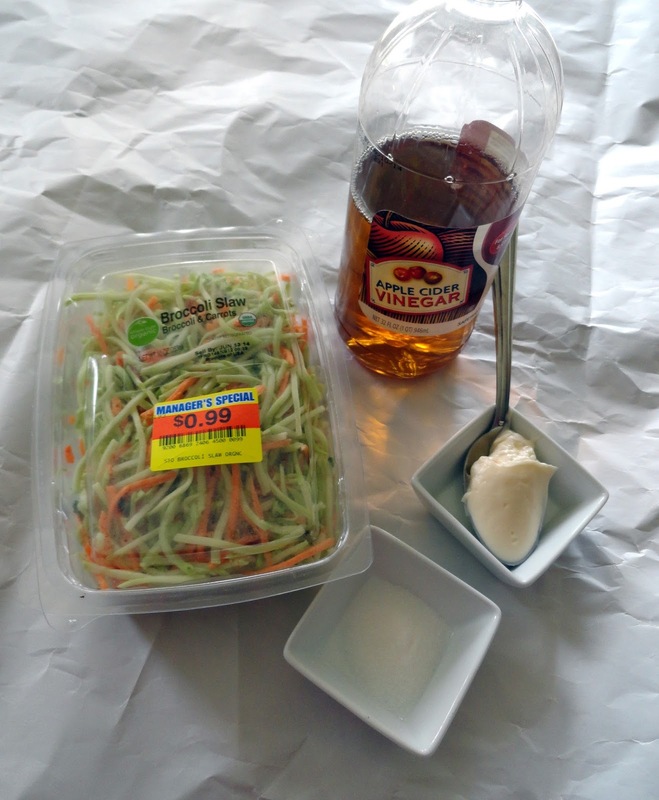 Actually, I found the slaw on super sale, which is why I came up with this recipe in the first place. It's sort of how I roll. You will also need about a tablespoon of apple cider vinegar, a heaping spoonful of light mayo (about an 1/8 cup) and 1 tsp. of sugar. 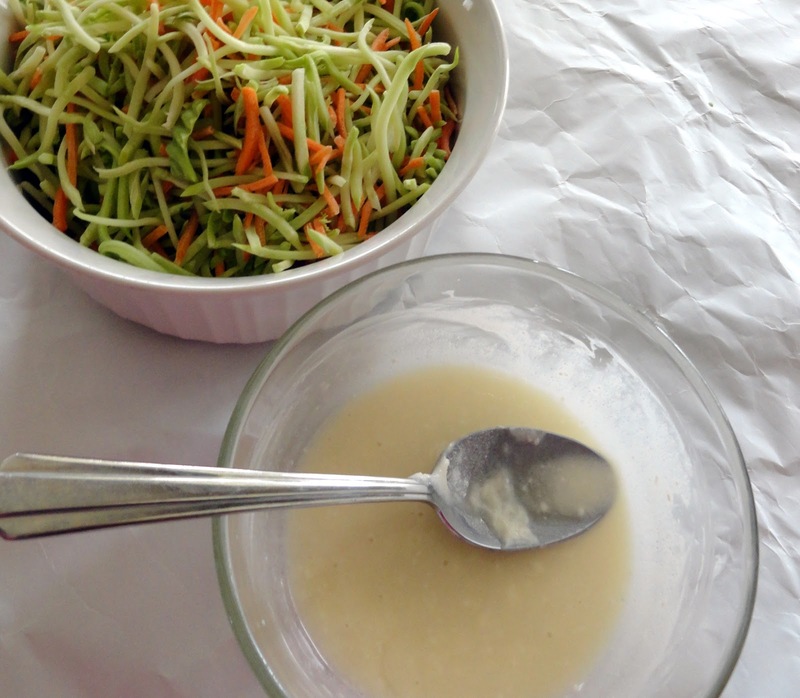 Mix your sugar, mayo and vinegar together in a bowl until creamy. 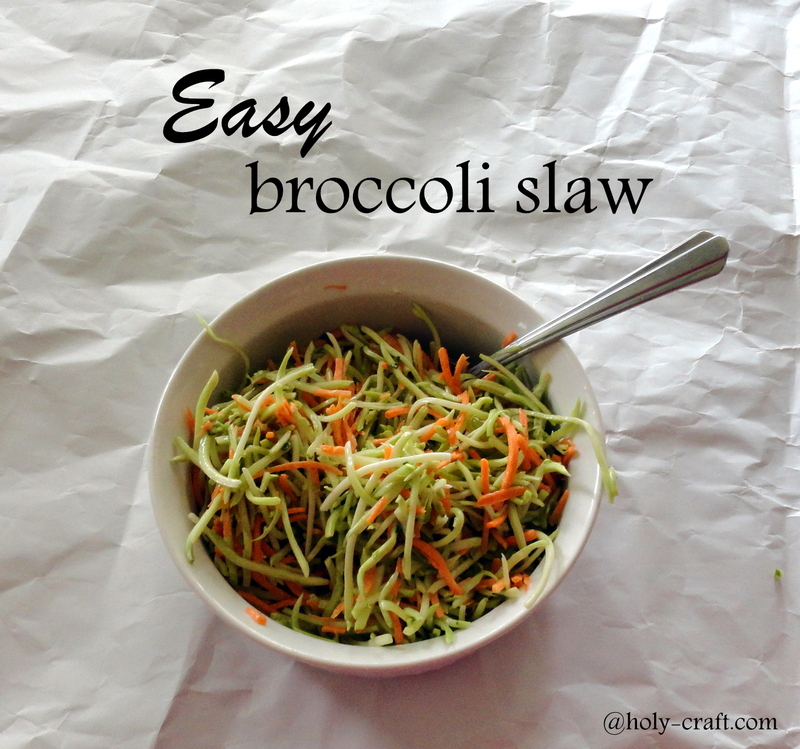 Stir your dressing over your broccoli slaw and enjoy! It literally takes about three minutes to make. It would be perfect for a summer BBQ as a side, or to enjoy as a lunch on a hot day. Do you love salads as much as I do?